“You must bring a lot of happiness into this world,” said the young businessman with tears of joy and gratitude in his eyes. He had just prayed with me and received Christ as his Savior and Lord. He and his wife had been looking for God for some time, he said, and now he was eager to take the Four Spiritual Laws booklet home with him so that he could in turn introduce his wife to Christ. The words of this joyful young Christian have come to my mind again and again: “You must bring a lot of happiness into this world” by sharing the Lord Jesus Christ with tens of thousands of students and lay people around the world. You have the privilege of participating with our living Lord in the fulfillment for His Great Commission in our generation. In my opinion, the only way to change the world is to change individuals. Changed people, in sufficient numbers, will produce changed campuses, changed communities, changed cities, states and nations – yes, in a very real sense, a changed world. Jesus Christ is the only One who can change people from within. You can help to change the world by introducing people to Jesus Christ. First, the average Christian is living a defeated, spiritually impotent, fruitless, worldly (carnal) life. 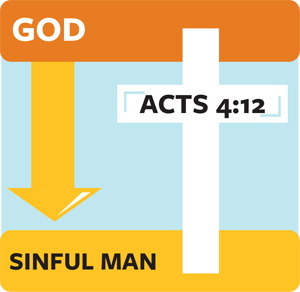 He is not walking in the fullness and control of the Holy Spirit – as one Christian leader explained his reluctance to witness, “My kind of Christianity is worth exporting.” If this is true in your life, I encourage you to review my messages on the subjects of How You Can Experience God’s Love and Forgiveness, How You Can Be Filled With the Spirit and How You Can Walk in the Spirit. What do people need to know in order to receive Christ? What methods will help you communicate effectively? As I have already indicated, many devout Christians fail miserably in their efforts to introduce others to Christ simply because they do not know how to go about it. That you are a Christian yourself. The empowering ministry of the Holy Spirit in your life personally. How to present the distilled essence of the gospel so that the one with whom you are sharing will be able to make an intelligent decision for Christ as Savior and Lord. For many years in our various evangelism training conferences, we asked those who participated in the training to help us list everything they felt a person should know before he or she could make an intelligent decision for Christ. God loved us so much that He gave His Son. Christ wants to come into every life. We must receive Jesus Christ. To as many as receive Jesus, God gives the right to become His children. By grace you have been saved, through faith. After all the suggestions were exhausted, we asked each participant to read with us a gospel presentation called the Four Spiritual Laws and to help us eliminate every point listed on the chalkboard that relates to Law One. These points were then removed from the board. We continued to Laws Two, Three and Four, following the same procedure. At this point, the chalkboard was always clean. The distilled essence of the gospel is contained in the Four Spiritual Laws booklet. Originally, the Four Spiritual Laws was written only for our staff, who were asked to memorize it as a witnessing tool. As a result, the number of people who received Christ increased dramatically. The content of the Four Spiritual Laws began to crystallize in my thinking during the summer staff training in 1956 at a time when our staff numbered less than fifty. One of our speakers for our staff training that year was a Christian layman who was an outstanding sales consultant. He emphasized that to be successful in sales, a person must develop a clear, simple, understandable presentation that can be used over and over again. But then he warned us that when one becomes weary of making the same presentation and develops “presentation fatigue,” one often changes the presentation and inevitably loses effectiveness. He then compared the witnessing Christian to the secular salesperson. To be effective in communicating our faith in Christ, he stresses, we must develop a simple, understandable, reasonable presentation for the gospel which we can share with everyone. The better and more often you communicate this simple presentation, the more fruitful you will be in your witness for Christ. To say that I objected to such a suggestion is to put it mildly. The longer he spoke, the more irritated I became. I resented the suggestion that I or anyone else who truly desired to serve the Lord was not led of the Spirit to speak with originality to each individual according to that person’s particular needs. Furthermore, I resented his using me as an example before the rest of the staff. But when it was all over and I was licking my wounds, the most serious of which was my bruised ego, I began to reflect on exactly what I did share with various people. That afternoon I wrote down my basic presentation, and to my amazement I discovered my friend had been right. Without realizing it, I had been sharing basically the same message with some variation with everyone. What I wrote that afternoon and later polished is now known as God’s Plan for Your Life, a twenty-minute presentation for the claims for Christ — who he is, why he came, and how one can know Him personally. I asked each staff member to memorize it, and we all began to use it in our personal witnessing. The next year, as we concentrated on sharing this simple message in dependence on the Holy Spirit and His power, our ministry was multiplied a hundredfold. God’s Plan was our first written “how-to” material – that is, material which explains simply and specifically how an individual can arrive at a desired goal, and shows how he or she can, in turn, help others arrive at the same goal. The “how-to” approach is one of the most needed and most powerful approaches to the Christian life and witness. Most non-Christians do not need to be convinced that they should become Christians. Rather, they simply need to be shown how to become a Christian. Though God’s Plan was extremely effective, we felt the need for a shorter version. So I prepared a condensed outline, complete with Scripture verses and diagrams, and each member of the staff memorized it. As more and more people became involved in our training program, it became apparent that we needed to make the presentation available in printed form. As a result, the Four Spiritual Laws booklet was born. Booklets like the Four Spiritual Laws are useful in a variety of situations. We don’t claim that the Four Spiritual Laws message is the only way to introduce others to Christ or even the best way. But we do know that literally millions of men and women have received Christ through the direct, simple presentation of the gospel contained in this booklet. According to our estimate, more than one billion copies have been distributed in all of the major languages of the world. Many stories have come to my attention of the effectiveness of the Four Spiritual Laws. I’m thinking, for example, of a church whose senior pastor had come to our headquarters for training and was very excited about using the Four Spiritual Laws. He went back to share his enthusiasm with his church and with his assistant minister. The assistant was not impressed by the booklet. He disliked tracts, and this looked like just another tract. He tossed it on his desk, not even bothering to read it. A few days later a city official came by to inspect the church facilities. As she was about to leave after her inspection it suddenly occurred to the assistant minister that he had not talked to her about Christ. He looked around quickly, and the only thing he saw was the Four Spiritual Laws booklet, which he had tossed aside in disgust some days previously. He gave it to her, saying, “Read this,” meaning that she should read it when she got home. She misunderstood, however, and began to read it aloud in his presence. She read every word, and by the time she got to Law Four, tears were streaming down her cheeks. She came to the prayer and prayed aloud, leading herself to Christ. By this time the assistant minister was so impressed that he came to Arrowhead Springs to find out for himself how he could be a more effective witness for Christ through training and the use of Four Spiritual Laws. Another heartwarming experience demonstrates the effectiveness of the booklet. A man, who was greatly admired in his home town, was not a Christian. In fact, he was known as the town skeptic because he never responded positively to the many who witnessed to him personally. The two men then knelt together and prayed, and the “Skeptic” invited Christ into his life as his Savior and Lord. The gospel as contained in the Four Spiritual Laws booklet had cut right through the barrier of skepticism and indifference so that this man received the Lord Jesus. Now, permit me to share several simple suggestions that will help you to introduce others to Christ as a way of life. First, begin every day with prayer, asking the Holy Spirit to empower and lead you to those whose hearts He has prepared. Second, relate to people in a loving, natural, personal way. Avoid being mechanical. Everyone responds to love. As you walk in love, the Spirit of God will confirm to those with whom you are sharing Christ that you are genuine; that you are not simply trying to win an argument or promote a cause; and that you have taken time to talk to them because you truly love them with God’s love. Not everyone will be prepared to receive Christ or even be positive in his response. Some may even be antagonistic. God may want you to sow the seed to use you as an instrument of harvest. Whatever the case, relax and let Him do what He wants to do through you. Remember, just as all fruit in an orchard is not ripe at the same time, so some individuals will be ripe for harvest and others will still be green – not yet ready to respond to the gospel. Consider every gospel conversation a great privilege and opportunity, not a legalistic responsibility. Think of God’s great love, of what knowing Him has meant to you and what it will mean to others when they receive Christ. Make sharing your faith in Christ a way of life. It enables you to open your conversation easily and naturally. It presents the gospel and the claims of Christ clearly and simply. It gives you confidence in your witnessing because you know what you are going to say and how you are going to say it. It enables you to be prepared at all times and to stick to the subject without getting off on tangents. It makes it possible for you to be brief and to the point. It enables you to lead others to a personal decision through a suggested prayer. It offers suggestions for growth, including the importance of involvement in the church. And, of special importance, it is a “transferable tool” whereby those whom you introduce to Christ can be encouraged and trained to lead others to Christ also. Then ask, “Have you ever heard of the Four Spiritual Laws?” and proceed to read them to them. If the individuals indicate they have already heard of the Four Laws, ask their opinion, review the booklet, and give them the opportunity to pray and receive Christ, if they have not already done so. At times, the Holy Spirit will lead you to stop and explain something that may be unclear or add a personal illustration. Normally, however, it is usually more effective to read through the booklet before stopping to explain or answer questions. If the person raises questions, you can say, “Let’s remember that question and come back to it in a moment after we have finished reading the booklet.” Of course, be sure to answer the question later! A personal choice is the most important part. Some time ago I was speaking to a group of pastors in Dallas. Skeptical that such a simple approach as the Four Spiritual Laws would communicate with college students, a university chaplain asked if I would go with him to the nearby university campus to demonstrate how to use the Four Spiritual Laws booklet with non-Christian students. He gathered about a dozen students, most of whom were Christians. I gave them each a copy of the Four Spiritual Laws booklet and asked them to follow along silently as I read the booklet aloud. Although I have shared Christ with thousands of students and lay people in individual counseling sessions through the years, I am a rather reserved person and do not always find it easy to witness. But knowing that I am free from Satan’s power as I obey and simply trust the Lord, I could say, “Greater is He (Christ) who is in me than he who is in the world (Satan).” So I kept on reading, knowing from experience that God would honor this presentation as He has on thousands of other occasions, for He has promised to honor His Word. Then I read the prayer aloud a second time. When I finished the prayer, I looked up and saw tears running down the cheeks of one of the young women. She came up to say that she had prayed that prayer and knew that the Lord Jesus had come to live in her heart. Later a young man came to receive Christ. Before I left, the chaplain introduced me to a young woman who had just received Christ, too. As far as I know, all the rest except one were Christians. The remaining one had been reared as an atheist, but was sobered by what he had heard and was also on the verge of receiving Christ. Through the simple reading of the gospel as contained in the Four Spiritual Laws booklet, the Spirit of God worked in the hearts of these young men and women in a marvelous way. Often this is the experience of any Spirit-controlled person who shares this presentation. Generally, you will find that most people agree with the first three laws and are not likely to ask many, if any, questions. Thus, you can proceed to Law Four with confidence. The Holy Spirit’s work of producing a repentant attitude in a non-believer is a necessary preparation of receiving Christ. This change of attitude will result in a change of action. However, it should be clearly understood that you do not become a Christian because you repent but by the simple act of receiving Christ by faith as explained in John 1:12 and Ephesians 2:8, 9. The next crucial point in sharing Christ is to help those who want to receive him as their Savior to know exactly what to do. As you continue to read from the booklet, explain how to receive Christ. If the answer is “Yes,” say, “You can pray this prayer right now if you really mean it, and Christ will come into your life as He promised. Then pause for prayer, and suggest that if the individual will pray aloud, you can pray with him or her. If there is a long silence, you may suggest that the person pray after you phrase by phrase. Be sensitive, however. Don’t offend by “forcing” the prayer. Some people wish to pray their own prayer rather than the suggested one. Should someone wish to pray silently, suggest he or she say “Amen” when finished. When he says, “Amen,” you pray aloud for the new believer. The important thing is not what you do, but what the Holy Spirit does through you. You and I do not have the ability to introduce anyone to Christ by our own power. Remember, success in witnessing is simply taking the initiative to share Christ in the power of the Holy Spirit and leaving the results to God. Proceed to explain how one can have assurance of salvation by reading the rest of the booklet. If the person responds positively, give him or her another opportunity to receive Christ by inviting the individual to pray with you. You will find that many will be ready to pray by the time you have read the entire booklet. Suggest that the person reread the booklet later that day and decide to receive Christ at that time. Ask the person to call you as soon as he or she does so. Many people receive the Savior alone after your time together is over. On one occasion I shared the Four Spiritual Laws booklet with a famous general who agreed with the content of the booklet but had never received Christ. He wanted to but had not done so. I agreed to pray with him, but he said that he would prefer to receive Christ when alone. I promised to pray for him and said good-bye. Let me suggest two other methods that you might find helpful. Then ask, “Would He mislead you? On what authority do you know that God has answered your prayer?” Then explain that our only authority is the trustworthiness of God Himself and His Word. Together read 1 John 5:11-13. Emphasize that we can know we have eternal life on the basis of these promises from God’s divinely inspired Word. But as I reread the 1 John passage several times, I saw strength come to his eyes and radiance to his face. The Holy Spirit had broken through the resistance that he had built up for fifty years, and this man finally saw God’s truth and received Christ into his life by faith. One of Satan’s great lies is that you must have had some kind of an emotional experience when you received Christ. But the Word of God says you are to receive Christ by faith, and you are to live by faith. This doesn’t exclude the importance of emotions. But, according to John 14:21, you are not to seek an emotional experience. You are to live by faith and obey God’s commands. When the individual is assured, on the basis of God’s Word, that Christ is in his or her life, suggest that each of you pray aloud, thanking God for what He has done. The very act of thanking God demonstrates faith and often contributes to the assurance of salvation. In addition to the use of the follow-up letters, you also have a responsibility to follow up the individual – personally, wherever possible. If you can’t meet personally, it will be helpful to the new Christian to receive a personal letter of encouragement from you. Take the challenge to apply what you’ve learned. I challenge you to perform an experiment for the next 30 days. Begin each day on your knees asking God to lead you to someone whose heart has been prepared for your witness. Go prayerfully and in the power of the Holy Spirit, and in the spirit of the apostle Paul, “talk about Christ to everyone who will listen.” Present the gospel as contained in the Four Spiritual Laws. Expect God to use you. Remember, “you can bring a lot of happiness into this world” by sharing Christ with others. Remember, How You Can Introduce Others to Christ is a transferable concept. You can master it by reading it six times; then pass it on to others as our Lord commands us in Matthew 28:20: “Teach these new disciples to obey all the commands I have given you.” The apostle Paul encouraged us to do the same: “The things you have heard me say in the presence of many witnesses entrust to reliable men who will also be qualified to teach others” (2 Timothy 2:2). From these verses, how would you define fruit in a Christian’s life? What does it mean to show God’s love to someone? What does it mean to “talk about Christ to all who will listen?” (See Colossians 1:28) Share briefly some places it is difficult for you to talk about the Lord. 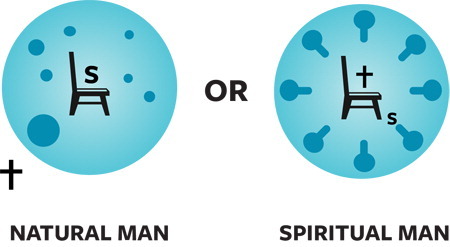 How should you handle an antagonistic response when sharing the Four Spiritual Laws? Discuss how God’s love can be shown thorough such difficult situations. Adapted from the Transferable Concept: How You Can Introduce Others To Christ, by Dr. Bill Bright, co-founder of Campus Crusade for Christ. © Campus Crusade for Christ. All rights reserved. If that’s not what you’re looking for, please let us know. Please send me Christian literature. I want to renew my faith in Jesus Christ. We don’t have any Christian literature to send, but maybe we could help you find some specific resources. Some helpful website you might want to check out are: everystudent.com and gotquestions.org. How do I receive one of those four spiritual laws booklets? My husband and I are missionaries and I have just read your article on the Four Spiritual Laws booklet. I would like to receive these booklets to help us in our efforts to bring the lost to Jesus Christ. Thank you.